Donna Lee, Owner of Buddy Lee Attractions, Inc. has announced the expansion of the agency representation to include Bluegrass performing artists. Buddy Lee Attractions’ celebrate their 50th Anniversary this year and arrives on the heels of the agency’s earlier announcement this week – Buddy Lee Attractions recently signed popular bluegrass act ,The Roys, to an exclusive booking agreement for worldwide representation. Buddy Lee Attractions also announced the inclusion of Jeff Brown & Still Lonesome to their stable. Jeff Brown & Still Lonesome features Jeff Brown (guitar/vocals), Austin Brown (bass), Josh Underwood (banjo/vocals), Kyle Murphy (fiddle) and Josh Blankenship (mandolin/vocals). Jeff Brown & Still Lonesome released its CD entitled Blue Side of Me on Mountain Fever Records on 16th July, 2013 to high acclaim. 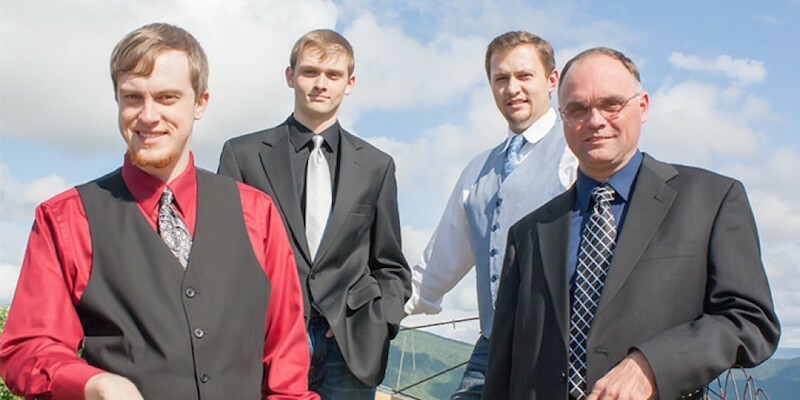 The group’s respective single releases from the project, “Coal Mining Town” and “Lonesome Fugitive,” debuted in the Top 15 on the Bluegrass Today charts. Lead singer Jeff Brown is a former Lonesome Rambler (1993-1996). Before the formation of Jeff Brown & Still Lonesome , Brown played numerous dates and recorded with Larry Sparks and The Lonesome Ramblers on the CD recordings entitled The Rock I Stand On, I Don’t Regret a Mile, Blue Mountain Memories and Almost Home. He also toured with The Charlie Sizemore Band and stepped-in as a “hired hand” to accompany Blue Highway, Dr. Ralph Stanley and the Clinch Mountain Boys, Jesse McReynolds, and received the special invitation from June Carter Cash to play bass for her husband, Johnny Cash. Jeff Brown & Still Lonesome has performed on world-famous stages including the Grand Ole Opry at the Ryman Auditorium in Nashville, TN and appeared on Austin City Limits and Song of the Mountains. For more information on Jeff Brown & Still Lonesome visit: www.jeffbrownandstilllonesome.com. Serving the country music and classic rock live entertainment sector across the globe since 1964, Buddy Lee Attractions has represented some of the biggest names in country music, including Garth Brooks, the Dixie Chicks, Ronnie Milsap, Lorrie Morgan, Willie Nelson, George Strait, and most recently, Jason Aldean. Buddy Lee Attractions’ integrity, collective knowledge base and solid work ethic have garnered the agency numerous industry awards, including three “Talent Agency Of The Year” Country Music Association awards, two “Tour Of The Year” Pollstar awards, and recently the 2014 Pollstar Touring Industry Award as” “Independent Agency Of The Year.” In addition to the Bluegrass performing artists’ roster, 38 Music Artist Development and 38 Music Publishing, as well as its speakers division, reside under the Buddy Lee Attractions umbrella. For more information, visit www.buddyleeattractions.com.